Who’s coaching for their job, their reputation, their career-defining playoff run, or all three at the same time? 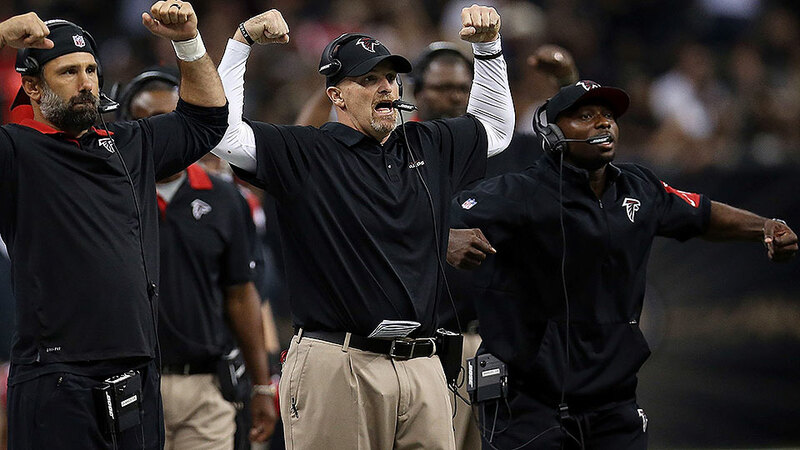 The SI staff makes the case for this season’s head coaches with the most to prove. 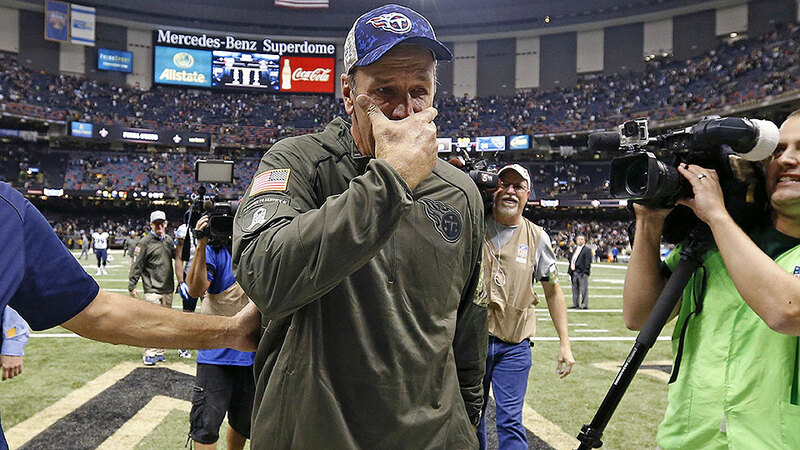 Seven of the NFL’s 32 head coaches as of the 2015 regular season’s opening week had lost their jobs by the end of January. That’s after four coaches were shown the door by the end of the previous season, and after seven jobs changed hands following the 2013 season, and eight the year before that. 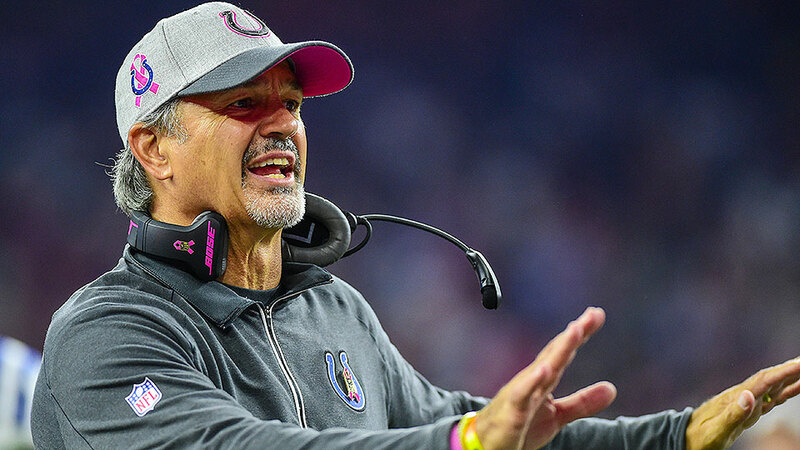 It’s impossible to put on that headset without full awareness of the position’s high turnover rate, but coaches work under incredible pressure on a regular basis regardless of how hot their seat may be. This week, SI.com’s Chris Burke, Doug Farrar, Bette Marston, Amy Parlapiano and Don Banks will make the case for the five coaches with the most to prove in 2016, while Eric Single runs down the runner-ups. With the notable exception of the mastermind in New England, no head coach in the NFL has a record of sustained success to match Mike McCarthy. In his 10 accomplished seasons on the job in Green Bay, McCarthy has rolled up 112 wins, five NFC North division titles and eight playoff berths, and the Packers’ franchise-record streak of seven consecutive postseason appearances is matched only by Bill Belichick’s dynastic Patriots. 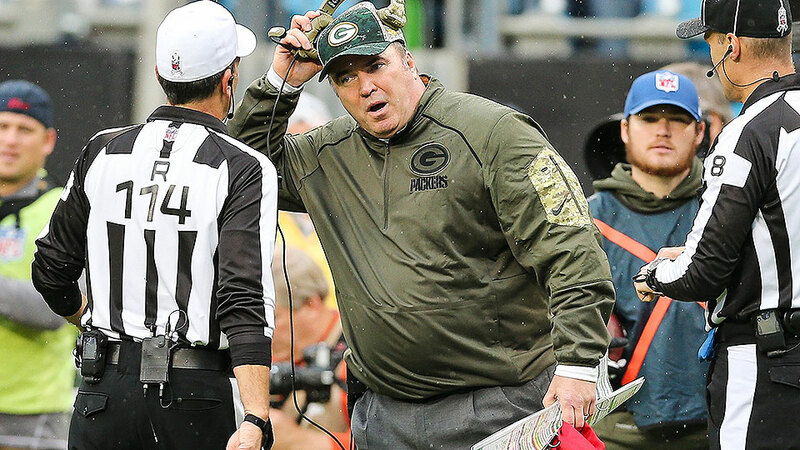 But despite that gaudy résumé, to think that 2016 does not shape up as the most pressure-packed season yet for McCarthy is to ignore the reality of the situation in Titletown, where the bar of expectation has long been left in the sky-high setting. • Five long seasons have come and gone since Green Bay’s lone Super Bowl run of the McCarthy era. The 2010 Packers’ conquest of the Steelers in Dallas sparked dreams of a multiple-ring scenario as quarterback Aaron Rodgers entered the prime of his career with a bevy of talent surrounding him. Since then, Green Bay has lost in the NFC divisional round three times, in the wild-card round once and in that memorable NFC Championship Game in overtime in Seattle two years back. The past three postseason defeats have all been decided on the game’s final play, heightening the frustration level exponentially in Packers World. • Last year’s season-long offensive struggles and play-calling issues were wildly uncharacteristic of Green Bay, and the level of underachievement can’t simply be explained away by noting the devastating loss of No. 1 receiver Jordy Nelson to a preseason knee injury. As superb as Nelson is, his absence should not have wrecked the Packers’ entire offensive mojo, and the toll that injury wound up taking is an undeniable indictment on McCarthy. • Rodgers, entering his 12th season, will be 33 in December, and there’s now an unprecedented urgency to maximize Green Bay’s window of Super Bowl opportunity while one of the league’s elite quarterbacks is near the top of his game. Boiled down to its essence, the ultra-successful Packers in McCarthy’s 10 years have been something along the lines of the NFL’s version of the 1991–2005 Atlanta Braves: a great team that somehow managed to put it all together just once in their perennial postseason runs. As good as the Packers have been for so long under McCarthy, this much I know from covering the league since 1990: A team staying at status quo, be it at the high end or the low end, is rarely a good thing in the NFL. It creates frustration that inevitably builds, and some of that frustration finally seeped out at times in Green Bay last season, when McCarthy’s attempt to delegate the play-calling duties to offensive coordinator Tom Clements didn’t work and had to be reversed mid-year. Rodgers and McCarthy reportedly showed signs of a strained relationship beneath the surface, and there was even a persistent storyline that McCarthy had finally grown weary of Packers general manager Ted Thompson’s steadfast penchant for not partaking in free agency in favor of building Green Bay’s roster through the draft and capitalizing on undrafted finds. Alas, only winning big will make all that noise go away in 2016. Some of 2015’s drama in Green Bay was simply the byproduct of a team that didn’t live up to its projections, and some of it is just what naturally occurs in the case of a franchise that has had the same head coach for a decade. The ever-perceptive Bill Walsh was largely right about the shelf life of an NFL coach being 10 years. After that, coaches, no matter how successful, are susceptible to being tuned out by their players to a degree, with a message and methods that can often grow stale and in need of rejuvenation. No, McCarthy isn’t on the hot seat in the traditional sense as the new season looms. The guy might one day be linked in the Packers’ coaching pantheon with Lambeau, Lombardi and Holmgren, and deservedly so. His record is that good. But this is still a very pivotal year for Green Bay’s creative head coach, and if there’s any sign of continued malaise on offense, or if the Packers lose any more ground to the resurgent Vikings in the division, some serious heat will undoubtedly descend on McCarthy. Pressure takes many forms in the NFL, and there isn’t a coach in the game who doesn’t face it annually. But McCarthy’s Packers tenure is at a tricky enough point where his future no longer looks assured, and settling for perennial Super Bowl contention won’t be deemed sufficient forever in Green Bay. 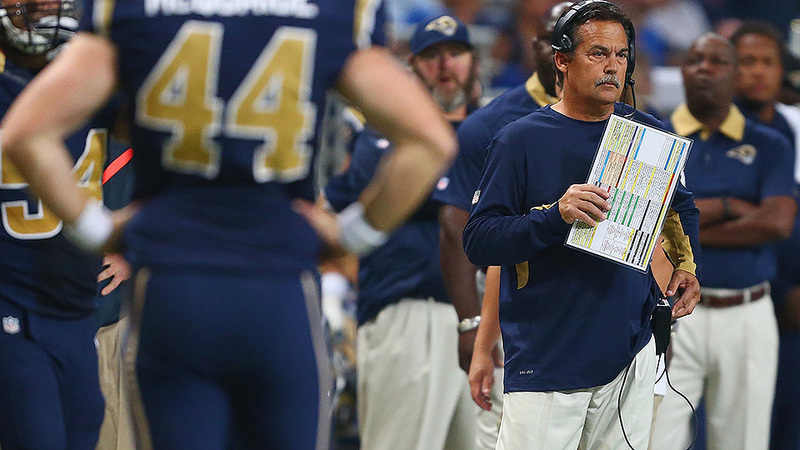 On Jan. 13, 2012, the Rams hired Jeff Fisher to be the franchise’s 22nd head coach, replacing Steve Spagnuolo. 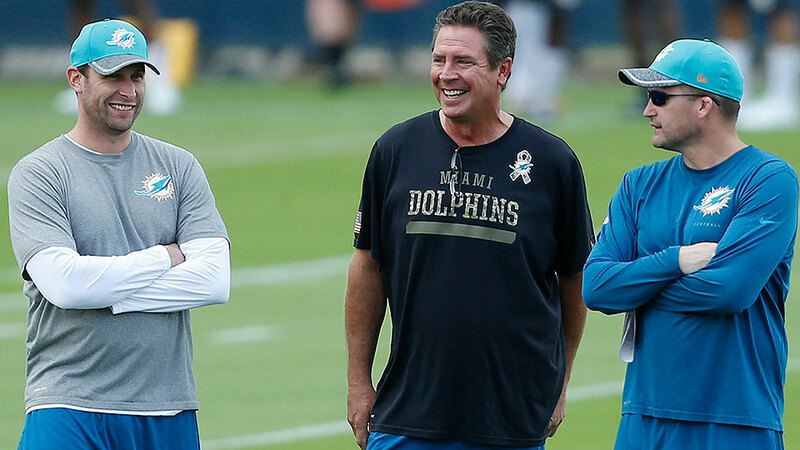 Fisher chose the Rams over the Dolphins in part because he would have more control over the personnel; after coaching the Oilers through their relocation from Houston to Nashville, he had worked under a capricious owner before in Bud Adams and didn’t want to be the odd man out again. The Rams won a grand total of 10 games in Spagnuolo’s three seasons, and the personnel holes inherited by Fisher and new general manager Les Snead were pretty glaring, but Fisher still went 7-8-1 in his first St. Louis season. Things seemed to be on the rise, but that trajectory didn’t last long. Fisher’s Rams went 7–9 in both 2013 and ’15, bookending a 6–10 finish in ’14. That’s how a head coach who compiled a regular-season record of 142–120 at his previous stop enters his fifth season with the Rams at 27-36-1. That’s the kind of record that would get a lot of lesser-known coaches fired, but the franchise has displayed patience with Fisher through thick and thin. That may change if the Rams don’t see noticeable improvement in 2016, because so much else has changed for the team lately. The move back to Los Angeles, the franchise’s home from its inception through the 1994 season, makes the Rams a major player from a marketing and p.r. perspective. On top of that, they sent the Titans a king’s ransom of draft picks to move from No. 15 to No. 1 and select Cal quarterback Jared Goff, giving up their 2016 and 2017 first-round picks, two second-rounders in 2016 and a third-rounder in both 2016 and 2017. It’s not unlike the deal the Rams made with the Redskins in Fisher’s first year in St. Louis, gaining extra first-rounders in 2013 and 2014 in return for the pick that turned into Robert Griffin III. The run of mediocrity that defined the franchise’s final years in St. Louis can be traced back to its inability to cash in on those extra picks—especially the high ones. The 2013 draft brought Tavon Austin and Alec Ogletree in the first round, two super-athletes whose ultimate NFL value is still up for debate. The team hit on 50% of its first-round picks in 2014: Future Defensive Rookie of the Year Aaron Donald was a heist at No. 12, but No. 2 pick Greg Robinson has yielded mixed results after being taken with the intention of taking over at left tackle. As one might expect from a Buddy Ryan acolyte, Fisher has put most of his stock on the defensive side of the ball. When the Rams signed former Patriots defensive lineman Dominique Easley on May 17, Easley became the eighth former first-round pick in the Rams’ rotational front seven, joining Ogletree, safety/linebacker Mark Barron and defensive linemen Donald, Robert Quinn, Michael Brockers and Quinton Coples. Donald and Quinn are franchise players, and Brockers and Barron have had their moments. The Rams finished seventh in Football Outsiders’ opponent-adjusted defensive efficiency metrics last season. The offensive side of the ball has been Fisher’s fundamental problem throughout his Rams tenure, and it’s not something that can be fixed by the arrival of Goff alone. The offensive line is in flux, and the receiver corps is just as questionable as it has been throughout the last four seasons. Second-year running back Todd Gurley is the team’s only elite offensive weapon right now. Fisher believes in a power-based, mistake-proof offense, which is also typical of defensive-minded coaches, but unlike his divisional rival Pete Carroll, he has been unable to think outside the box enough and more closely align his offense with the modern NFL game. His offensive coordinators (Brian Schottenheimer, Rob Boras, Frank Cignetti) have installed schemes and concepts that did the team’s limited personnel no favors, and as a result Fisher’s Rams have never finished higher than 21st in points scored and 23rd in yards gained. Last year, with Boras and Cignetti calling the shots and Nick Foles at quarterback, they finished 29th in points and dead last in yards. That will need to change if the Rams want to secure a playoff berth for the first time since 2004. They pushed their chips in with the Goff pick, the kind of move that usually indicates a franchise understands its limitations and is willing to get out of its comfort zone to overcome them. Fisher, a son of Los Angeles, would love to make that happen in his hometown. He’s in the final season of a five-year, $35 million contract, and although there has been talk of a contract extension, the record will catch up to him sooner or later. The unspoken pressures are mounting all around him. There were eight NFL head coaches hired during the 2013 off-season: Bruce Arians, Rob Chudzinski, Chip Kelly, Andy Reid, Doug Marrone, Marc Trestman, Mike McCoy and Gus Bradley. Seven of those coaches either have made the playoffs or been fired since then (in Kelly’s case, both). The eighth is Bradley. The Jaguars own a 12–36 record under Bradley’s watch—a .250 win percentage that places Bradley’s career mark among such coaching royalty as Dennis Allen (.222), David Shula (.268) and Lane Kiffin (.250). So the mere fact that Bradley is back for a fourth year takes him and the Jaguars into rather uncharted NFL waters when it comes to a franchise showing patience. 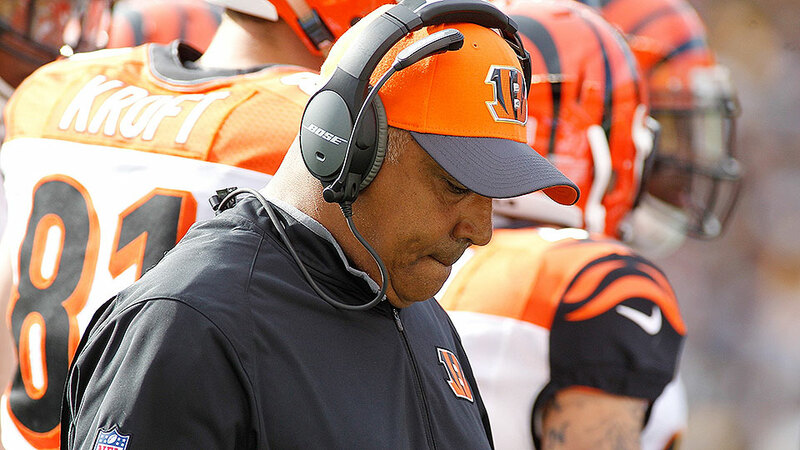 Caldwell, who like Bradley was hired following the 2012 season, has to play the company line a bit. If Bradley cannot produce an uptick in the near future, the GM’s job figures to be on the line, too. All parties involved have committed fully to a multi-year rebuilding project. And Jacksonville has done well to take meaningful strides forward. Last season, the offense catapulted into a top-10 passing ranking, led by the 35 touchdowns thrown by Blake Bortles (second-most in the NFL, one back of Tom Brady). The receiving corps of Allen Robinson, Allen Hurns, Rashad Greene, Marqise Lee and tight end Julius Thomas is among the most dangerous in the league. The backfield boasts impressive second-year runner T.J. Yeldon and veteran free-agent addition Chris Ivory. That approach did not stop Caldwell from using his 2015 first-rounder on defensive end Dante Fowler, and it set the table for him to spend picks in the first, second, third, fourth, sixth and seventh rounds of this year’s draft on defense. Fowler, back from the knee injury that knocked him out of commission as a rookie, will team with Jalen Ramsey and Myles Jack—assuming both can recover from their own knee injuries in time for the ’16 season—to form the nucleus of the Jacksonville defense. This is really where Bradley comes in. He was hired away from Seattle not because the Jaguars wanted to kick-start their offense, but because he had established himself as a sharp NFL mind over four seasons spent as the Seahawks’ defensive coordinator. He was supposed to bring a variation of that defense-first approach to Jacksonville. Thus far, Bradley has failed to deliver. His 2015 team ranked 31st in points allowed and coughed up an even 6,000 yards of total offense to opponents. 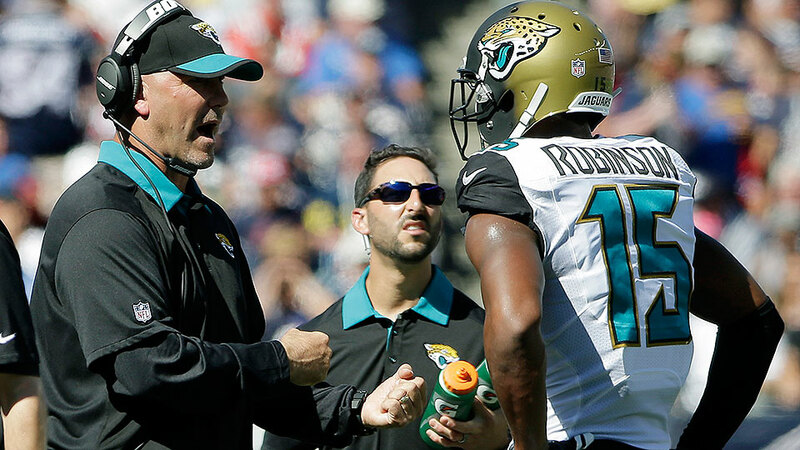 Fowler’s devastating preseason setback staggered the Jaguars last year, to be sure, and Ramsey’s recent injury could provide a similar obstacle, but the time for excuses is wearing thin. While Caldwell may not have spent as much in free agency as he could have, he did land big-name defensive lineman Malik Jackson, as well as cornerback Prince Amukamara and safety Tashaun Gipson. Between those additions and a defense-heavy draft, the Jaguars have poured substantial resources into repairing their defense this off-season. Should it still fail to come together, eventually, the Jaguars will have no choice but to take a closer look at Bradley. The front office deserves credit for staying the course, in spite of the disappointing results thus far. Few organizations have the self-control to undertake a lengthy rebuilding process, let alone the vision to actually pull it off. On as many as 31 of the other teams in this league, Bradley would have been shown the door by now, another coach brought in to cash the chips he had collected from 2013 to ’15. If the next two seasons are what Jacksonville had circled on its calendar, though, the team’s record has to start reflecting that quiet confidence. Maybe another 5–11 season would not spell the end for Bradley, but such an outcome would make it increasingly difficult to defend him. The current roster has far too much talent for the Jaguars to limp home again, several games under .500. In an improving but winnable division, they have the elements to compete: an offense capable of lighting up the scoreboard and a defense that, on paper, looks talented and athletic. The outlook has changed for Bradley and Caldwell, which is mostly a testament to their diligent work since joining the organization. But “wait and see” won’t cut it for much longer. At some point, a rebuild has to produce a finished product. 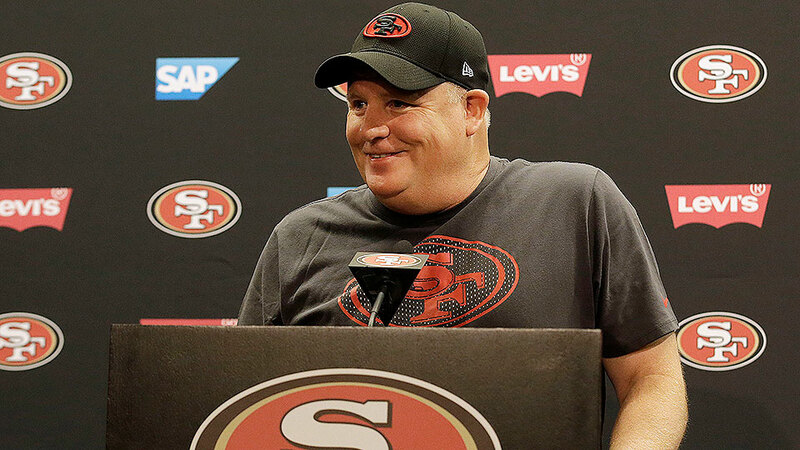 There was a brief time when it wasn’t a certainty that Chip Kelly would land on his feet in the NFL after the Eagles abruptly fired him in late December, but the 49ers proved to be the perfect fit for a dominant personality calling the shots in the wake of a listless season under Jim Tomsula. Kelly inherits a thin roster in San Francisco, but that has never been enough of an excuse to temper the critics of his up-tempo offense—or to rein in the optimism among his passionate supporters. Kelly’s system needs to click into gear quickly to keep San Francisco from getting railroaded again by one of the league’s toughest divisions.